One of the best ways in making your business in Vancouver look more credible is by issuing personalized cheques. As payment solution, it offers unparalleled convenience and security. While cheques have been in use for a long time already, you have to keep in mind the new regulations imposed by the CPA or the Canadian Payments Association in January 2005 to ensure that your cheques are really up-to-date and have the necessary security features and details needed. Learn more about the proper use of Vancouver-cheques and how you can get the most out of this payment system in order to avoid mistakes and fraudulence. Have You Considered Ordering Your Checks Online? Ordering cheques online has become a preferred method of acquiring cheques in Vancouver. It is a convenient way of printing out cheques as you no longer have to personally go to a shop and have your cheques printed. You can also partner with a printing company to supply your cheques in a recurring manner so you will never have to experience running out of cheques again. It is also easier to search for the best printing companies when ordering online. You can see what companies have to offer and what they have that others cannot provide. When you order online, you can also stipulate your design and customization requirements with minimum fuss. There is no need to temporarily leave your business to have your cheques made. With just an e-mail or a phone call, your cheques can be customized and printed to suit your needs. 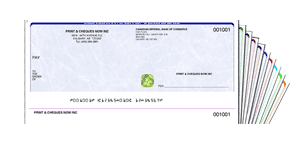 What Should You Consider When Printing Cheques? Before printing out cheques, check the regulations of the CPA about the do’s and don’ts of the design. You would want the cheque to look professional. Don’t use bold colors that might make the markings or the text in the cheque difficult to read. 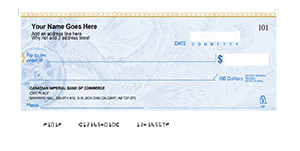 Ask the printing company about what you can and cannot add with the design of the cheque. Make sure the printing company manufactures cheques that are 100% CPA 2006 compliant. Choose only the companies that are members of the Canadian Payments Association CPSA Program or Cheque Printer Self Accreditation program to ensure that what they are disseminating really complies with the authorities. You can be assured that the cheques made by these companies are safe to use. Another thing that is great about this program is that you no longer have to get approval from your bank before using the cheques. These are already cleared at the printing shop so they are ready to use once they land on your doorstep. That makes things more convenient for you, especially if you have more important things to do than wait for your cheques to be cleared by the bank. Furthermore, don’t forget to look for credentials such as the Printer ID they are using to avoid transacting with shady printing companies. Why Should You Switch to Laser Cheques? 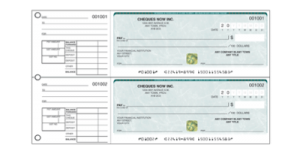 Laser cheques are newer and more advanced printing options for cheques. What is great about laser cheques is that it eliminates the old process of verifying cheques. It also eliminates instances of fraudulence. Many people have mastered the art of faking checking accounts. Don’t wait to become a victim of cheque fraudulence as this can mean thousands or even millions of monetary loss. Laser cheques have safety features such as security keys and even passwords to prevent such instances from occurring. Additionally, printing out laser cheques is more efficient and effective than the old and traditional method. This allows the printing company to print out different designs of cheques in one page and then utilizing more than one printer at once, thereby increasing productivity. This also means you are saving a lot on printing expenses. Ask about the rates of printing laser cheques and you will be surprised at how affordable this is. Good printing companies can get you more cheques by as much as 50% on your usual order. It is a good idea for business owners in Vancouver to start switching to laser cheques. A good printing company can cater to your design and printing needs. Once you have your cheques, it should be easier to make payments and clear out various transactions.